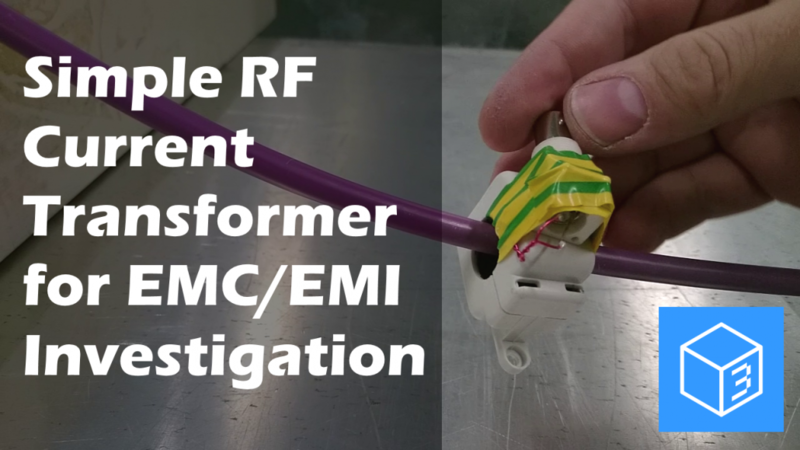 This post contains some background info related to the video I posted on YouTube on how to make a simple RF current transformer, a great tool for debugging EMC / EMI issues such as radiated emissions from cables, or tracing conducted RF immunity noise paths. RF current transformers (or probes) are commercially available products from places like Fischer CC or Solar Electronics and they work really well, have specified bandwidth and power handling characteristics, built in shielding, robust case, etc. They also cost a few hundred £$€ each which, if you are on a budget like most people, represents a significant investment for a individual or small laboratory. However, this one can be built very cheaply; most labs will have a development kit with some clip on ferrite cores, if not the core I used only costs £5 from RS. I’m a big fan of making my own test adaptors and equipment as its a great way to really understand how things work and the compromises in any design. As such I decided to share how I go about making this kind of really useful tool. It’s primary use is for A-B comparison work; measuring the current, performing a modification and then measuring the current to see the improvement. It is to be stressed that my version is a crude but effective piece of equipment and does not replace a well designed commercial product. There’s a time and a place to invest in quality equipment and one should use engineering judgement on when that is. For instance, measuring the RF current accurately is definitely a job for a properly designed and characterised device. If you want to explore RF current transformers in more detail then there is plenty of info on Google, but these links are useful places to start. The ferrite material in these cores is specifically designed to be lossy at the frequencies of interest, which will result in a lower reading than a higher bandwidth core and a reduction in the amount of noise on the cable downstream from the noise source. This can in some cases mask the effect you are trying to measure. The commercially available products use low loss, high bandwidth ferrite cores. From the cable under test to the secondary winding. Normally a split shield (so that it doesn’t appear as a shorted turn) is built in to commercial products. Guess what, that’s easy to do on this with a spot of copper tape or foil. Although a well designed product, the plastic hinges and clips on the cores are not designed for repeated opening and closing. The Wurth Elektronik system of a special key to open and close the core is much more robust at the expense of having to keep a few keys to hand for when they inevitably go missing. However these parts are so cheap and quick to make that a broken clip on core is no real obstacle. 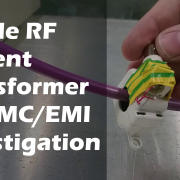 I’ll be following this video with some hints and tips on how to use these devices effectively for finding radiated emissions problems and for looking at conducted RF immunity issues. Stay tuned. The sharp eyed of you will have spotted that I originally assembled the BNC connector on the core so that it covered the key-way to open the clamp. I rectified this but didn’t film the change. Also, you can wrap the wire round the core without removing it from the housing but that means you don’t have a nice flat surface to affix the BNC connector to. It does make it easier to close the clamp however so make your choice. I’m really happy to have one of my blog articles featured on Interference Technology. Problem solving and fault finding EMC problems, especially radiated emissions, is one of my specialities and oddly enough is one of the facets of my job that I enjoy the most. After a successful exercise in helping a customer out with their product, getting the chance to write about it and share it with you is a real bonus. Fixing radiated emissions is at it’s most challenging when the scope for modification to the unit are limited by the fact there are significant stock of PCBs or components that would require scrapping and redesign. Finding a way to use the existing stock was key in this example as the customer had significant time and money invested into the project. Thankfully I was able to help them out. Head on over to Interference Technology and have a read through – I even put pictures in! Hopefully it will give you an idea of how I work and the sort of EMC issues that I can help you solve. Many of the customers I deal with are technically savvy and extremely good at designing innovative and clever devices. I’m always learning something new every time I get a different product through the door. Unfortunately it isn’t practical or possible to be good at everything and EMC expertise, especially when it comes to fault finding and problem solving, can be hard to come by. This is where I come in. I’ve been helping a good customer on a product that they’ve been working with that had some EMC troubles on a prototype design. It had originally been taken to a different test lab where they had performed a mains conducted emissions measurement showing a clear failure at low frequencies. There were a couple of other hard copy scans supplied where a capacitor value had been adjusted to try and improve the emissions but with no effect. In need of some expertise, they got in touch. I received the product and quickly set it up in our screened room to perform some EN 55014-1 conducted emissions measurements. 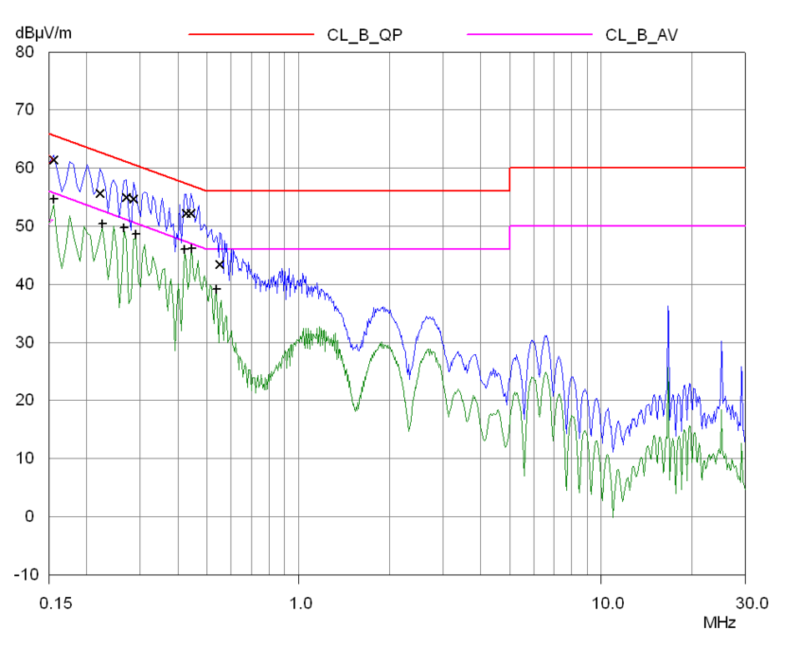 Below you can see the first scan result, showing a failure of up to 10dB on the Quasi Peak detector. There’s clearly some room for improvement so let’s analyse the problem and see what we can do. Lower frequency mains conducted emissions are not uncommon and are usually caused by differential mode voltage noise. This is generated by current flowing through the impedance presented by the primary side bulk decoupling and switching circuit. The switching frequencies of the power supply controller are usually in the 30 kHz to 250 kHz range putting it (and it’s harmonics) right in this lower frequency (sub 1MHz) range for this test. 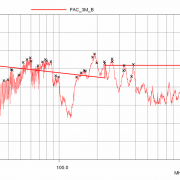 Improving differential mode noise can be done in a number of ways. Removing the noise at source is the approach I advocate, in this case this can be achieved by reducing the impedance of the rectified mains bulk decoupling capacitor. A review of the BOM showed that the units had been built with some general purpose electrolytic capacitors with a relatively high impedance. So the first thing that I did was to swap out these parts for ones from the Nichicon PW series of low impedance electrolytic capacitors. 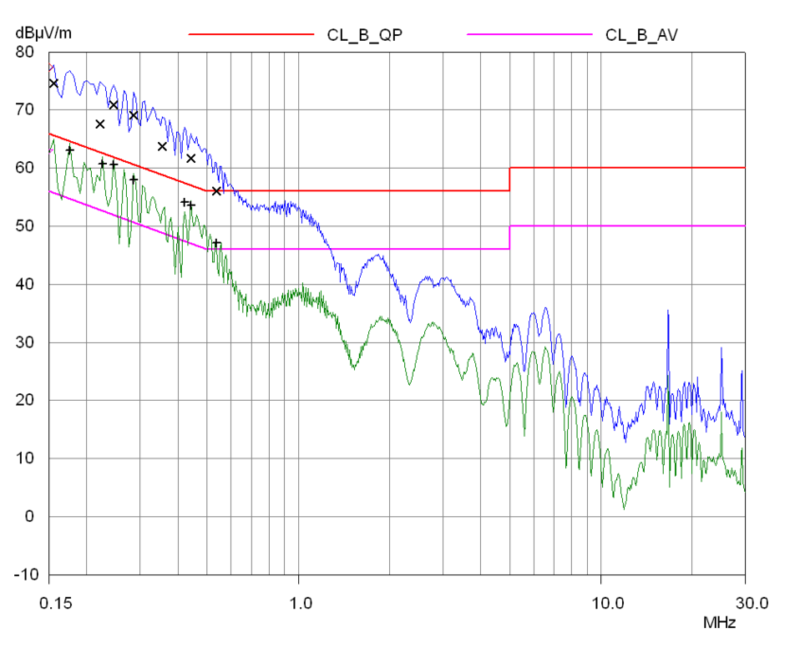 The result: a big improvement on the QP measurements, bringing some of them down by around 10dB. The improvement on the Average detector readings was less pronounced, especially around 550 kHz where only a 3dB improvement was registered. It is likely that the HF impedance of the decoupling capacitor is still a problem. One option is to apply a suitably rated high frequency decoupling capacitor in parallel with the bulk decoupling capacitor. The other option is to improve the filtering on the AC mains input to prevent the noise from escaping back down the line. 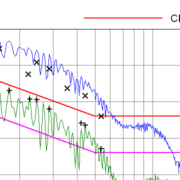 Filtering for differential mode noise can be provided in several ways. 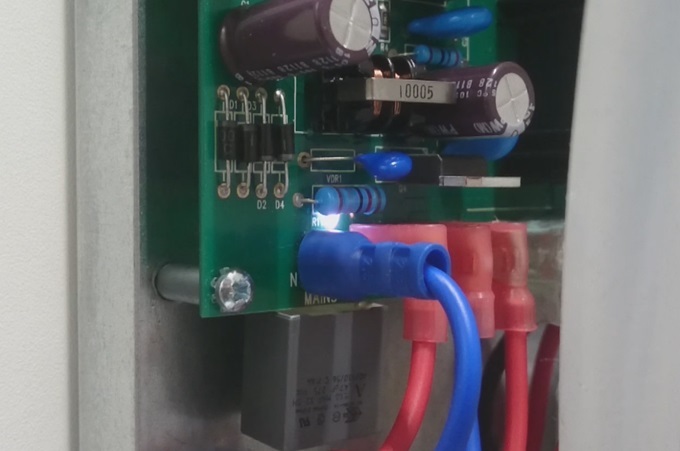 The most common method is to make an LC filter from the leakage inductance of a common mode choke paired with a Class X safety capacitor between Live and Neutral. The leakage inductance is in the tens of micro-Henries whereas the common mode inductance is often a couple of magnitudes larger up in the tens of milli-Henries. Simplistically (there are other effects to consider) a 10uH leakage inductance paired with a 470nF capacitor will roll off frequencies above 100 kHz. Well, let’s try that! Performance is improved by around 5dB across a wide range of frequencies; indeed the improvement can be seen up to 15 MHz. 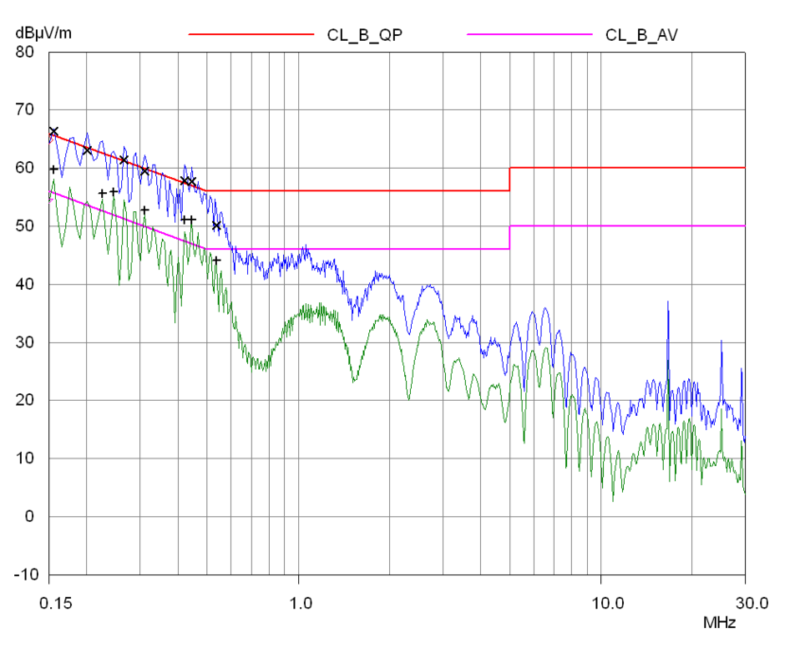 This leaves a margin of around 2dB to the average limit line which is perhaps a bit close for comfort and I would generally recommend looking at a little more filtering to bring this down a bit further to allow for variations in production and tolerance of components. 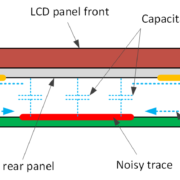 Options for further improvements could include a second Class X capacitor to form a pi filter but because of the low impedance of the differential mode noise this approach might not be as effective. Adding some inductance to form an LC filter with the bulk decoupling capacitor is another approach. However this proved the case to the customer for a PCB redesign to make space for the larger bulk decoupling capacitors and at least one Class X capacitor. Following on from this work, at the customers request, I carried out a full suite of EMC tests on the product to EN 55014-1 (emissions) and 55014-2 (immunity). One thing that I noticed was the sound of an electrical breakdown during the application of a differential mode surge test. Taking off the outer casing, I managed to catch the below arc on camera during a 1kV surge event. 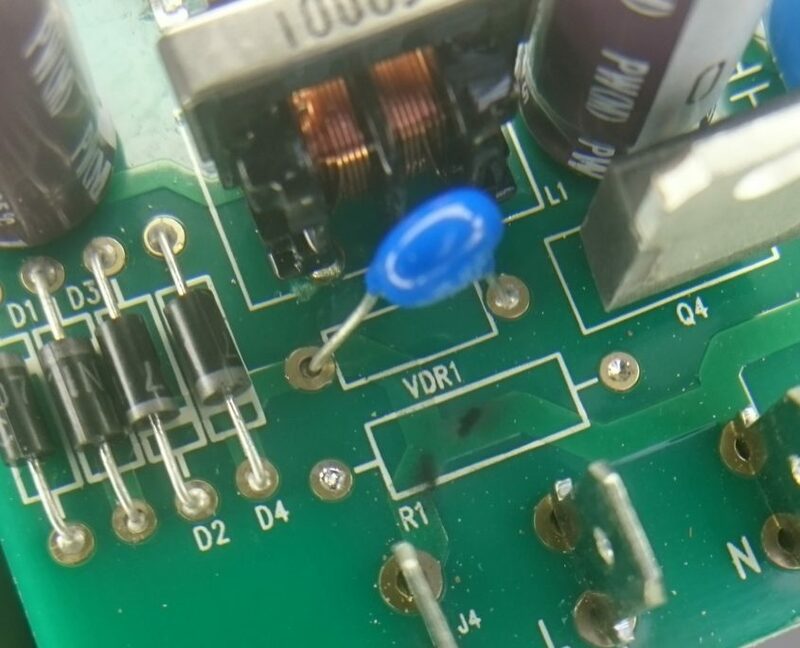 The arc appeared around the resistor; desoldering and removing it from the PCB showed a couple of points where there was arcing between the resistor body and the trace running underneath it. This problem has occurred because the resistor R1 is in series with the Live phase and the trace underneath is connected to the Neutral phase. When mounted flush to the PCB normally, the resistor has only its outer insulation between live and neutral. Reviewing the relevant electrical safety standard for the product requires a minimum clearance (air gap) for basic and functional insulation is 1.5mm. This can be achieved by standing the resistor up on spacers to keep it away from the PCB but then it starts to approach VDR1 and Q4 meaning a considered manufacturing approach is required. This was another incentive for redesigning the PCB. The take-away lesson from this finding is to consider the Z axis / third dimension when reviewing a PCB as it can be easy to see things purely in two dimensions! I hope you found this case study useful and that it has given you some tools with which you can improve your designs. If you need some EMC fault finding expertise then get in touch: I’d be happy to help and I love a good challenge!